Goodreads Summary: Budding designer Lola Nolan doesn’t believe in fashion . . . she believes in costume. The more expressive the outfit -- more sparkly, more fun, more wild -- the better. But even though Lola’s style is outrageous, she’s a devoted daughter and friend with some big plans for the future. And everything is pretty perfect (right down to her hot rocker boyfriend) until the dreaded Bell twins, Calliope and Cricket, return to the neighborhood. 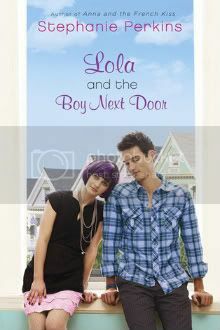 Lola and the Boy Next Door is the companion novel to Anna and the French Kiss, which I absolutely loved. (You can read my review here.) For those of you who haven't read Anna, you can still enjoy Lola, but there are a few scenes you will appreciate even more if you have read the first one, because Anna does make an appearance here. Lola only has three wishes in life, one of which involves her dress for a dance, and one of which is to never see the Bell twins again. So when Calliope and Cricket Bell move back into the house next to hers, Lola tries to avoid them at all costs. She has plenty of other things to think about, like designing her dress and convincing her parents that her rockstar boyfriend, Max, is really a good guy. Lola and Cricket have history that she'd rather forget. Only she can't avoid himm, and she can't forget the past. She finds herself growing closer to Cricket again, despite knowing that she shouldn't have feelings for him while she is with Max. Lola knows that she will have to make a choice, but which choice would truly be following her heart? After reading Anna, I could not wait to read this book. Stephanie has a way of making her characters come to life and making you feel every one of their emotions. Lola may not have been a typical girl, with her eye for fashion and flair for the eccentric, but she seems very real. She was raised in a home with two dads due to her biological mother's inability to care for her, and as such she already deals with more than the average teen. While Lola is quirky and fun, she she truly wants to be a good person, one who is loyal to and doesn't disappoint those whom she loves. These qualities made her incredibly vivid, and while I loved Cricket and obviously wanted her to be with him instead of Max, I was on the emotional rollercoaster with her as she weighed her decisions and finally came to understand what was right for her. Did I mention that I loved Cricket? Because he is definitely swoon-worthy. Just like St. Clair, he's not the stereotypical hot guy; he likes building Rube Goldberg devices, his pants are a little too short sometimes, and he's almost always in the shadow of his sister. But those imperfections make him that much more endearing. And as I said earlier, I loved that Anna and St. Clair made appearances in this novel. Although I really enjoyed this novel, and it is definitely a romance, Lola does deal with some tougher issues than Anna did because of her family. Also, I have to admit that I missed the setting from Anna; while San Francisco is great, it just doesn't compare to Paris. Despite that, it is Lola's emotional journey that really makes this story great. 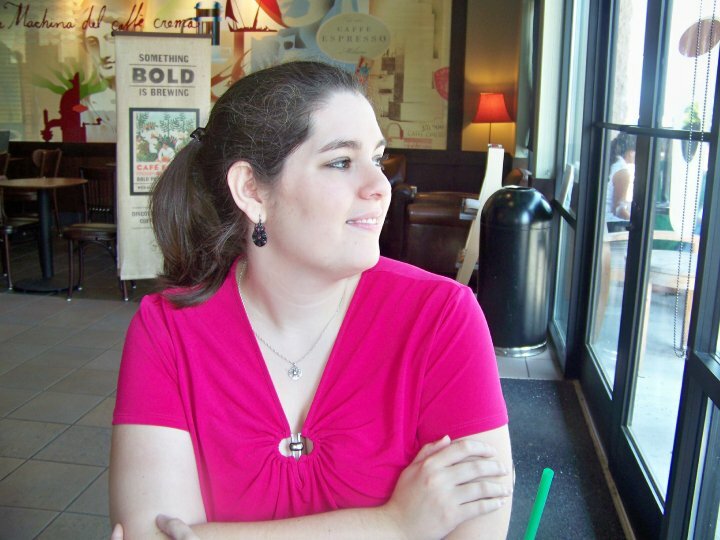 Once again Stephanie Perkins has crafted an engaging story of life and love with both laughter and tears along with way. Just like Anna's world, Lola's world is one that you will want to visit again. I can't wait to see who Stephanie introduces us to next! Lola sounds like a fascinating character to me. I haven't read this or Anna and the French Kiss yet, but I intend to as soon as I find reasonably priced copies. Great review! Just recently read Anna and the French Kiss and absolutely adored it, loved how St Clair was afraid of heights and the fact that he was a Nice Guy but still completely swoon-worthy. Really looking forward to getting my hands on Lola!